This is a year of significant anniversaries for a number of Nashville’s musical institutions, and a party marking one of them on Monday, March 27, was a doozy. The day before, the Ryman Auditorium had staged “community day” in honor of its 125th birthday, and on April 1, the Country Music Hall of Fame plans to celebrate its 50th with a day full of events. But on Monday, Tin Pan South was in the spotlight. 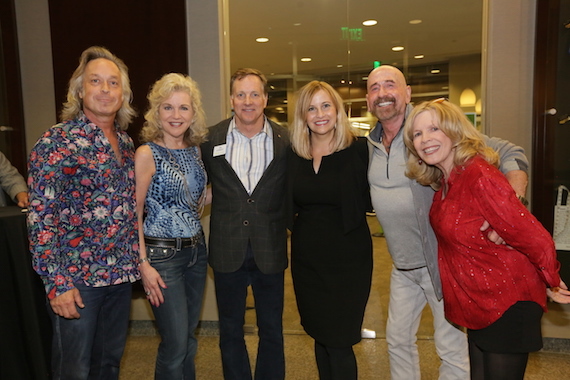 The Music Row branch of Regions Bank threw open its doors to host the kick-off party for the songwriter festival’s 25th anniversary. Region’s Lisa Harless proudly showed off a baby grand piano in the bank’s vestibule. It was being played – beautifully — by Rob Arthur. He’s Peter Frampton’s keyboardist who has moved here along with the rock superstar. 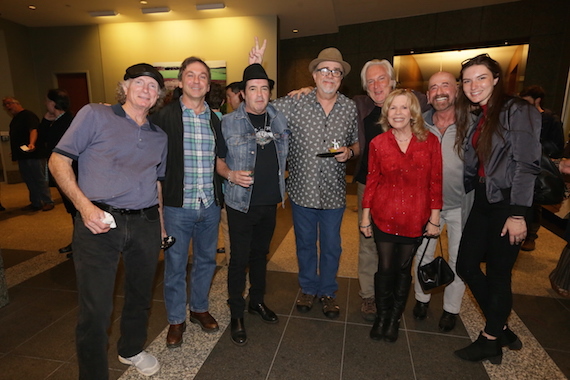 Meanwhile, out in the lobby, songwriters were cheek-by-jowl packed in – Rory Bourke, Dennis Morgan, Steve Bogard, Steve O’Brien, Roger Murrah, Jimbeau Hinson, Wood Newton, Jeff Silbar, James Dean Hicks, Lee Thomas Miller, Scott Reeves and more. Attendee Billy Burnette says he’s set to release an autobiography and accompanying CD this spring. That should be lively reading, since he’s been on the scene since the birth of rock ‘n’ roll, thanks to his pioneering dad and uncle. 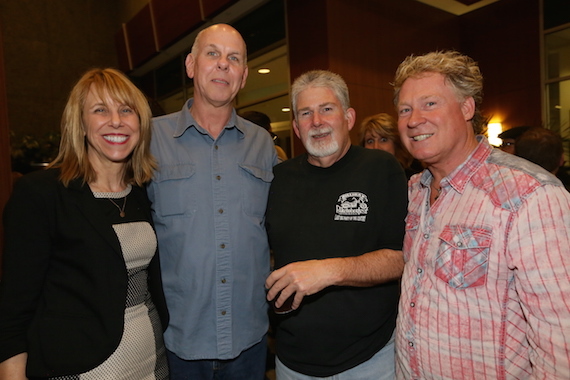 Writer-artists working the room included Jim Lauderdale, Rick Monroe, Marc-Alan Barnette, Jeremiah Richey and the like. Monroe posed for a photo with Mayor Megan Barry, whom everyone wanted to meet and greet. She worked the attending media like a pro, as did Erika Wollam Nichols. Erika’s Bluebird Café, by the way, is celebrating its 35th anniversary this year. The catering at the Regions Bank bash was by Maggiano’s Little Italy. And, brother, was it deluxe – spicy meatballs, cucumber slices with herb cheese, BBQ pork sliders, tomato caprese skewers and Italian cheeses covered one grazing station. Those with sweeter palates hovered near the table offering mini crème brulee cups, lemon cookies, mini New York cheesecake morsels and assorted baked delights. 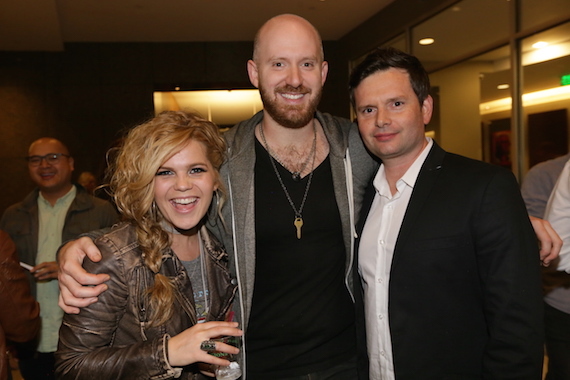 A who’s-who of Music Row fabulons worked the room. Sherrill Blackmon, Barry Coburn, Christy Walker-Watkns, Preshus Tomes Harris, Tracy Gershon, David Preston, Chris Keaton, Randy Perkins, Bob Doyle, Cary Owen, Bev Moser, Jessi Maness, Becky Harris, Nathan Pyle, Andrew Kintz, Craig Shelburne, Craig Campbell, Martha Moore and Butch Baker all schmoozed mightily. 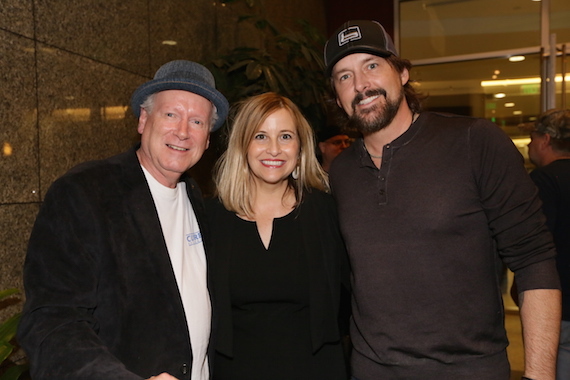 “Is it time for Tin Pan South again, already?” asked John Ozier, marveling that a year had flown by since the last gathering that has become America’s largest songwriter fest. Yes, and now it’s a grown-up 25 years old. This year’s Tin Pan South round of showcases will take place Tuesday, Wednesday, Thursday, Friday and Saturday nights, March 29-April 1. The venues are The Blue Bar, The Commodore Grille, Douglas Corner Café, The Country, The Station Inn, The Bluebird Café, Whiskey Rhythm Saloon, The Listening Room, The Hard Rock Café, and 3rd & Lindsley. Arrive early. The shows are often sold out. The bookings are awesome. Among the 400+ tunesmiths slated to appear are Buddy Cannon, Sonny Curtis, Randy Montana, Billy Montana, Billy Falcon, Mac Davis, Lari White, Lori McKenna, Rhett Akins, Dickey Lee, Pat Alger, Leslie Satcher, Shane McAnally, Brothers Osborne, Natalie Hemby, Brent Cobb, Lance Miller, Kellie Pickler & Kyle Jacobs, Beth Nielsen-Chapman, Keb Mo, Desmond Child, Gary Burr, Paul Overstreet, Kim Richey, Angaleena Presley, Matraca Berg, Gretchen Peters, Larry Gatlin, Allen Shamblin, Al Anderson, Rivers Rutherford, Bobby Braddock and Bekka Bramlett. 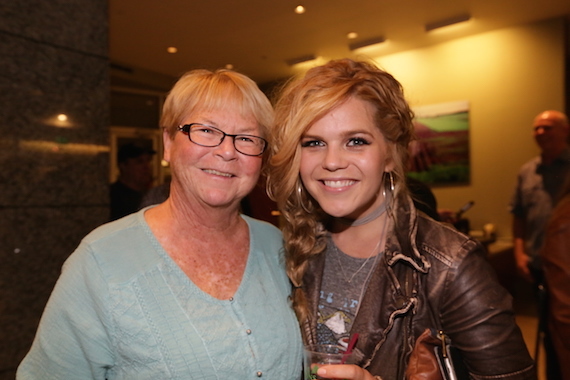 The presenter of Tin Pan South is the Nashville Songwriters Association International, which is yet another anniversary celebrant in 2017. This is the NSAI’s 50th birthday. In case you’re keeping score, this year is also the Nashville Symphony’s 70th season, the 10th anniversary of the Music City Walk of Fame, the 60th birthday of RCA Studio B and the 10th anniversary of the opening of the Schermerhorn Symphony Center.